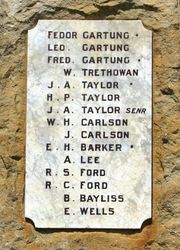 Galston War Memorial commemorates those who served in World War One. 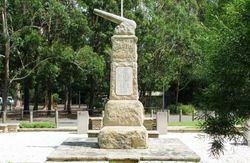 An obelisk made of local sandstone surmounted by a sandstone cannon. 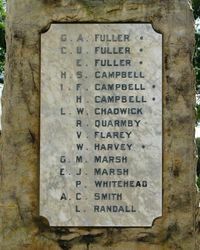 The Federal Treasurer (Sir Joseph Cook) unveiled a memorial at Galston Park last Saturday to the memory of the 60 boys from this district who joined the A.I.F. The Rev. W. J. Roberts, rector of Castle Hill, presided, and there were also present. Mr. R.B. 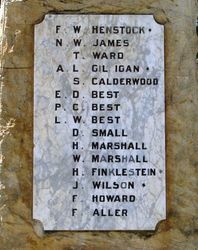 Walker and Mr. E. S. Carr M`s L.A. for the Cumberland district. 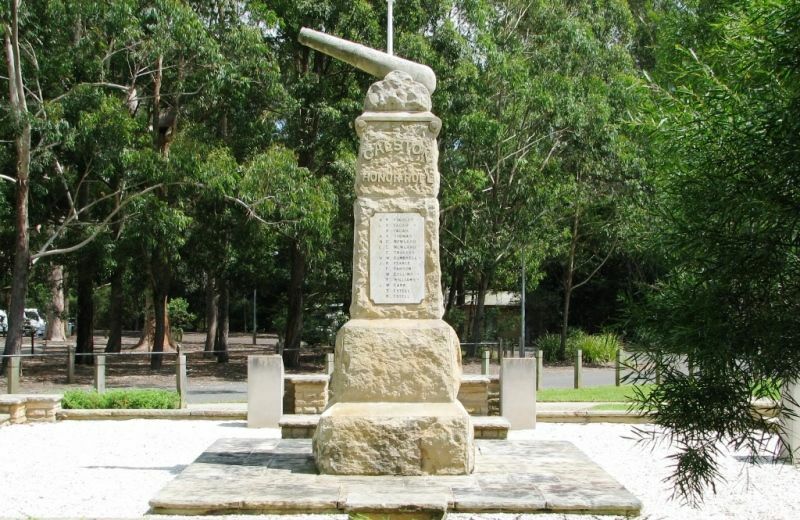 Sir Joseph Cook pointed out that, in addition to these local memorials the Imperial and Dominion Governments intended to place headstones over all the known graves of men who were killed or died abroad. "Over a quarter-million sterling," said Sir Joseph, "has been included in the Federal Government's estimates for the current year as our share of the costs for the graves of the A.I.F. In this way we hope to keep green the memory of those who fought for the unity and indestructibility of the Empire."